Your 30 minute Check-In begins promptly at "Event Start Time" Early arrivals may be asked to wait for your check in time. Late arrivals will not be granted additional jump time. Access to the party room is limited to your scheduled party room time. The option to add additional room time may be available for a fee, please contact us for further options and availability. 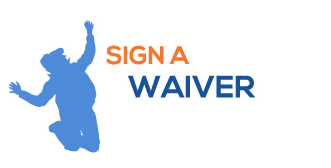 All participants must complete a Sky Zone waiver prior to entering the Sky Zone playing courts. Those under 18 must have it completed by their parent or legal guardian. The general rule at Sky Zone is size separation. Participants may be separated by age. 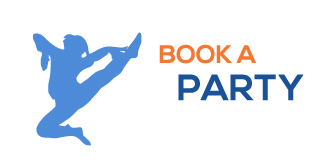 Dodgeball cannot be guaranteed without a private court rental.